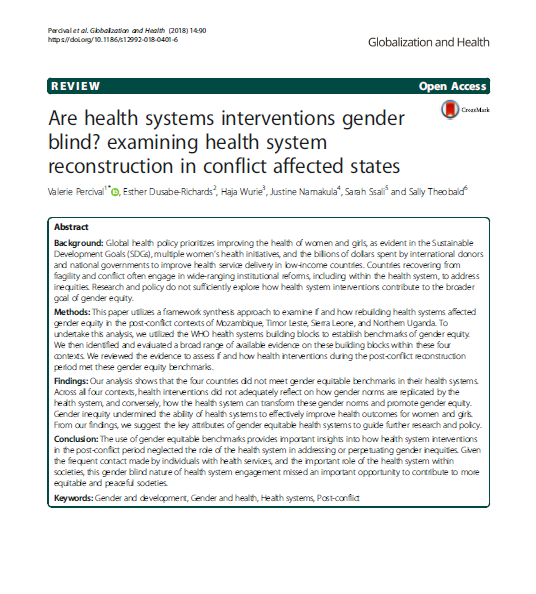 We have produced a range of journal articles, tool kits, briefs, videos, webinars and other outputs that can help you think through how to take a gendered approach to health systems research and support ethical practice. 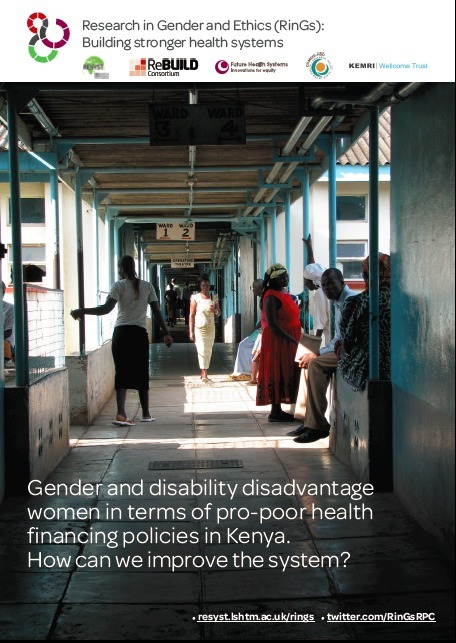 Alen Mkhwana: Why is gender important for health systems policy in Kenya? 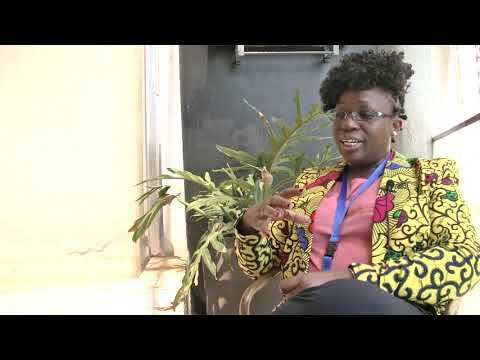 A short interview with Alen Mkhwana of the African Academy of Sciences on gender and health systems policy in Kenya. 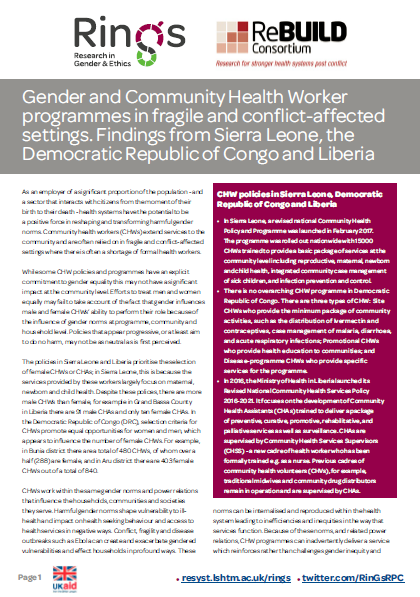 This brief provides recommendations and guidance for practitioners and policy makers who have responsibility for CHW programmes. 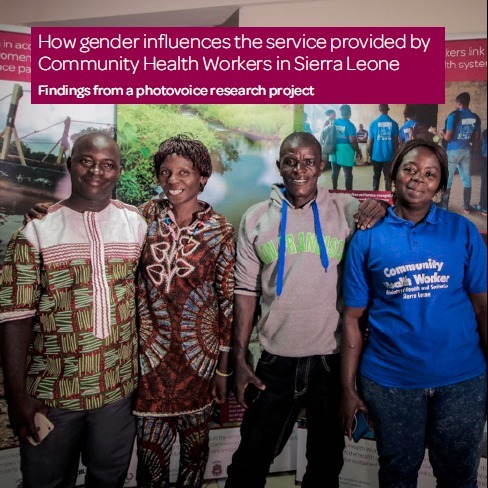 It suggests some ways that their workforce may be affected by gender norms and recommends what actions can betaken to address them. 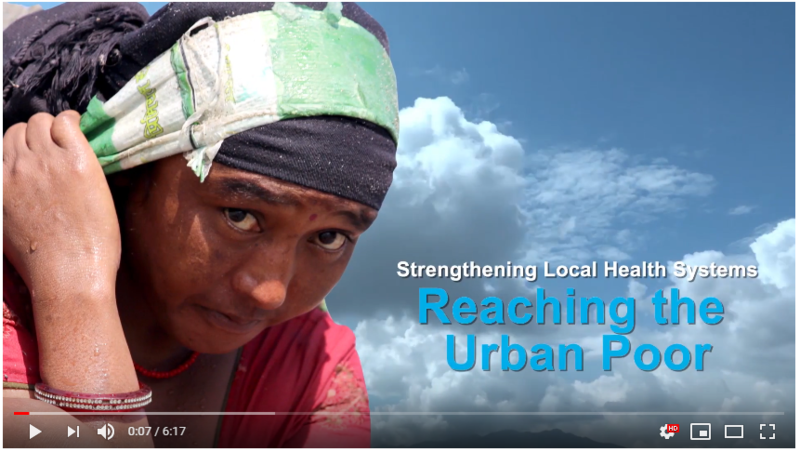 how they negotiate gendered and cultural norms within their communities to promote better health. 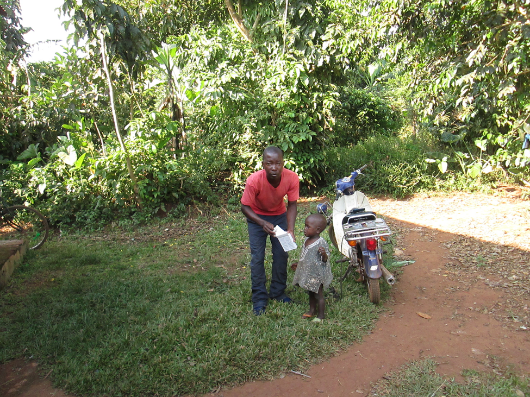 This booklet explores how gender shapes livelihoods, risks, experiences of pregnancy and health seeking behaviour. 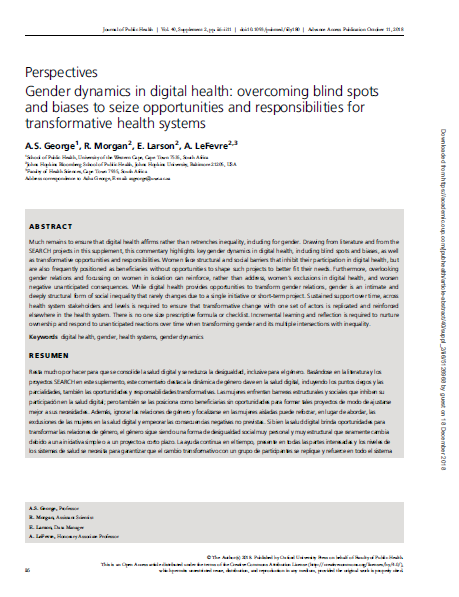 While digital health provides opportunities to transform gender relations, gender is an intimate and deeply structural form of social inequality that rarely changes due to a single initiative or short-term project. 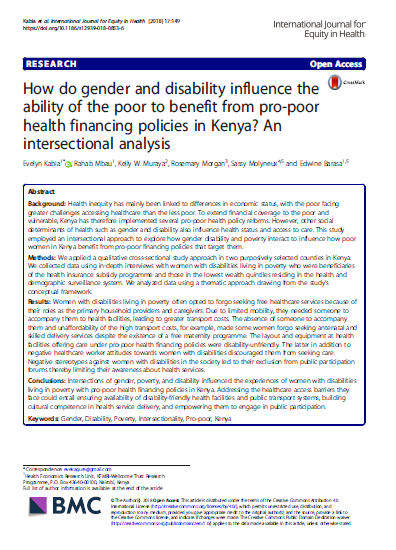 Gender and disability disadvantage women in terms of pro-poor health financing policies in Kenya. How can we improve the system?